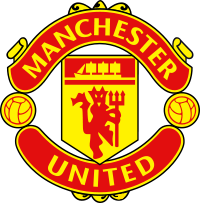 Manchester United Football Club is an English football club, based at Old Trafford in manchester and is one of the most popular football clubs in the world. The club was a founding member of the Premier League in 1992, and has played in the top division of English football since 1938, with the exception of the 1974–75 season. Average attendances at the club have been higher than any other team in English Football since 1964 -65 . Manchester United are the reigning English champions and Club World Cup holders, having won the 2008-09 Premier League and the 2008 FIFA club world cup. The club is one of the most successful in the history of English football and has won 22 major honours sinceAlex Ferguson became manager in November 1986. The club holds the joint record for the most English league titles with 18 and also holds the record for the most FA cup wins with 11.